"enjoy the one-stop solution that makes a productive MacBook Pro"
"DockCase will be a good accessory to get so you can leave the adapters at home." According to a survey carried out by a major tech information website , merely one out of ten MacBook users are content with the current USB C port. The ultimate accessory of MacBook. 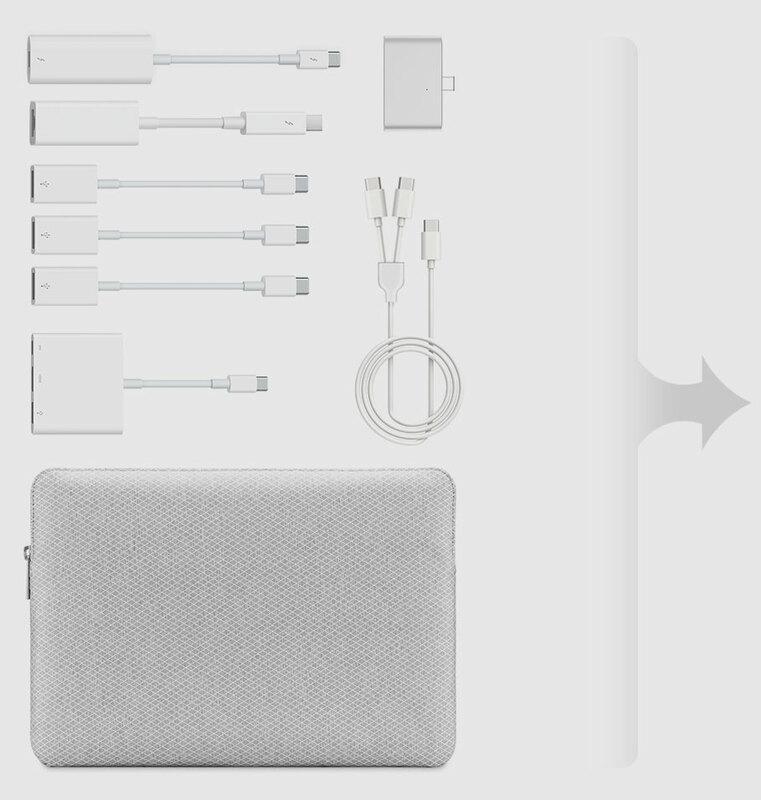 From a user’s perspective, we reinvented what MacBook accessories should be. 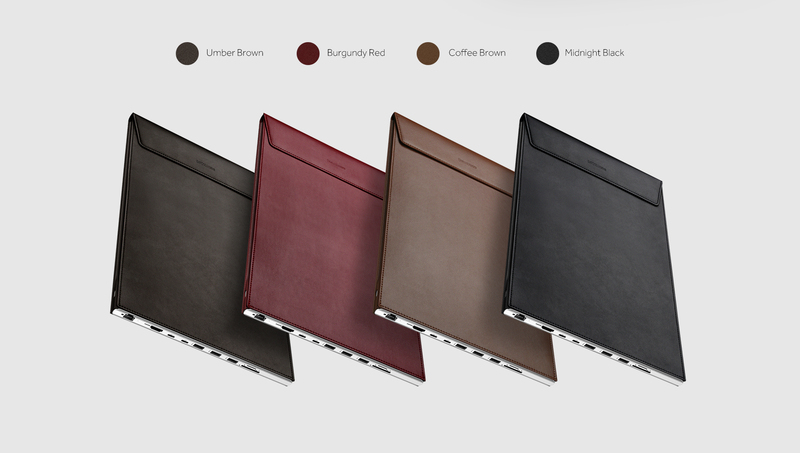 DockCase is designed to be the final accessory you’ll need for the Macbook. All 9 ports are thoughtfully designed, and serve well for expansions. 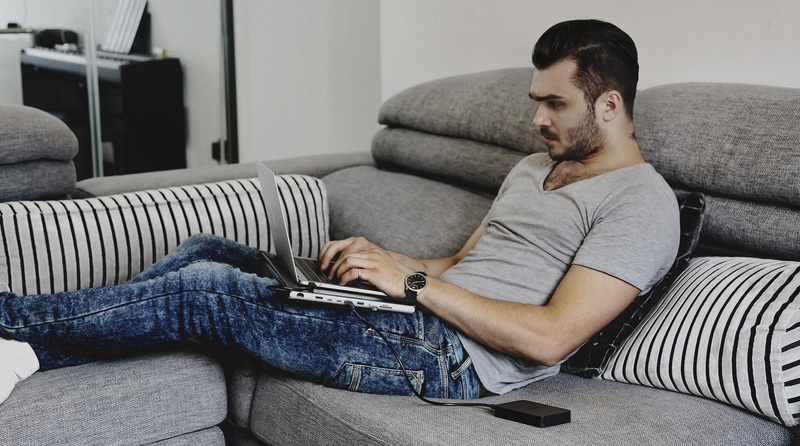 Bring your storage devices, monitors, printers and more together, not one after the other. Made of microfiber leather, the case packs your MacBook in slim profile, and stands daily wear and tear. Q1.Does it support Apple USB SuperDrive? No. MacBook Pro models with Thunderbolt 3 (USB-C) ports require a USB-C to USB Adapter to use Apple USB SuperDrive. Q2.Does it support connecting other hubs? Yes, DockCase supports connecting other hubs, and it shares DockCase's power limit of 10W. Q3.Do you have plans for a Mini DisplayPort instead of HDMI? We're considering adding the Mini DisplayPort, but it depends on the market feedback. Q4.Do you have plans to add a MagSafe port to the DockCase? No. The MagSafe port is for the old-version MacBook, and it needs authorized certifications from Apple, so MagSafe port is not in our plan. Q5.Can I use all connections at the same time? Yes, you can use all connections at the same time for data transfer and expansions (and type C PD port for charging the MacBook Pro). But please avoid using the DockCase for charging your mobile devices. Q6.Can it do 4K @60 Hz through the USB-C connection? Currently, our HDMI port support 4K/30Hz, 1080P/60Hz. We will see what we can improve for this port. For further information, please stay tuned. Q7.How much does the sd card protrude when connected? Half of the SD card will protrude when connected. Q8.Can the dock be separated from the case? No, the dock and the case are designed together to take on the go. They can't be separated. 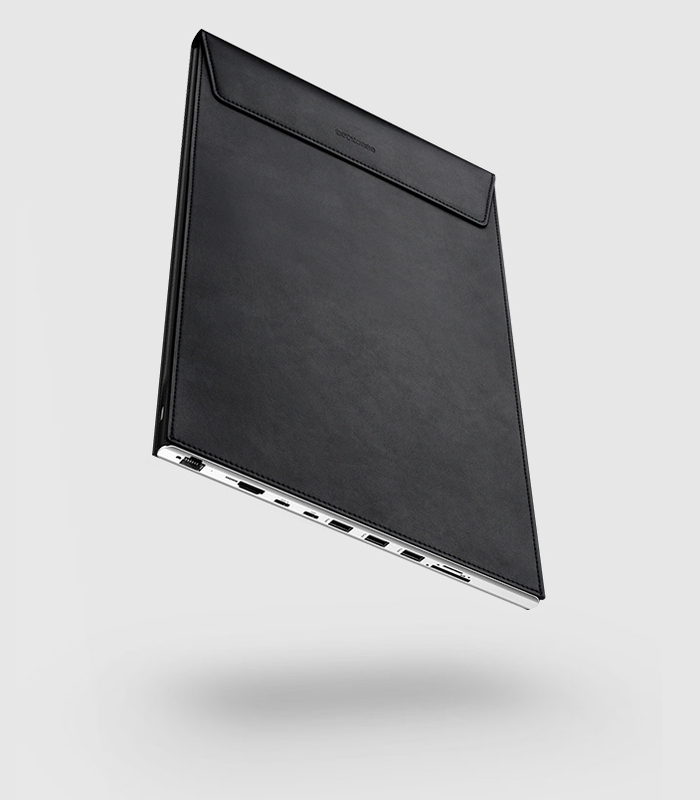 Q9.Does the MacBook Pro have a good ventilation when put on the cover for use? 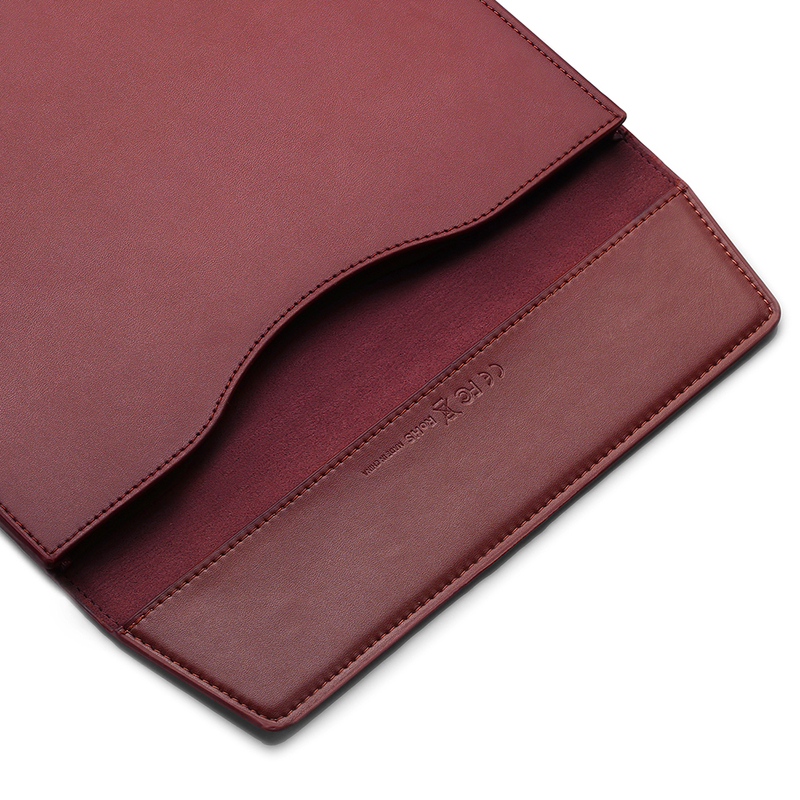 The case is crafted of microfiber leather, which is breathable but not as breathable as genuine leather. It denpends on the performance of the laptop and how long you use. 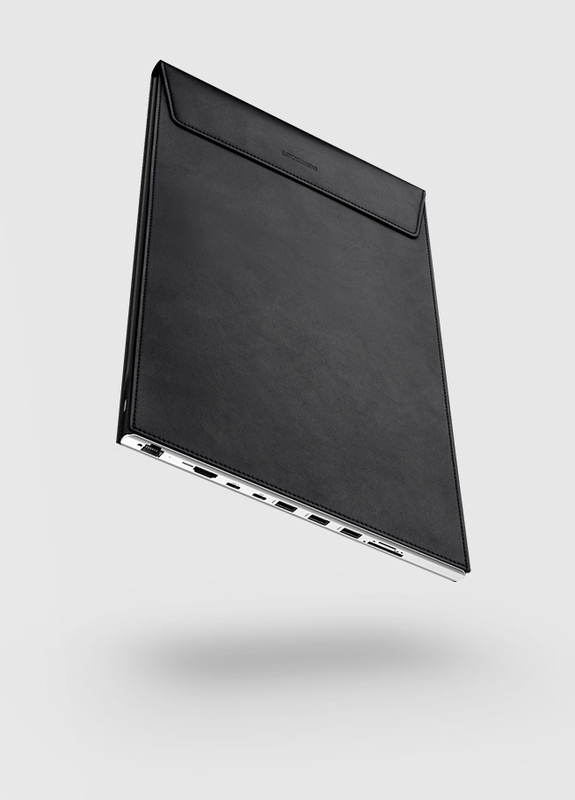 Q10.When resting the Macbook on the Dockcase, does the side without the ports have any supports to keep the Macbook sitting straight? Or does the Macbook sit at an angle? There is a sleeve flap on the other side that helps keep the balance. It will keep perfect balance when you place the computer on the sleeve. And it will be slightly uneven within a 3° angle when you place the computer on the dock. 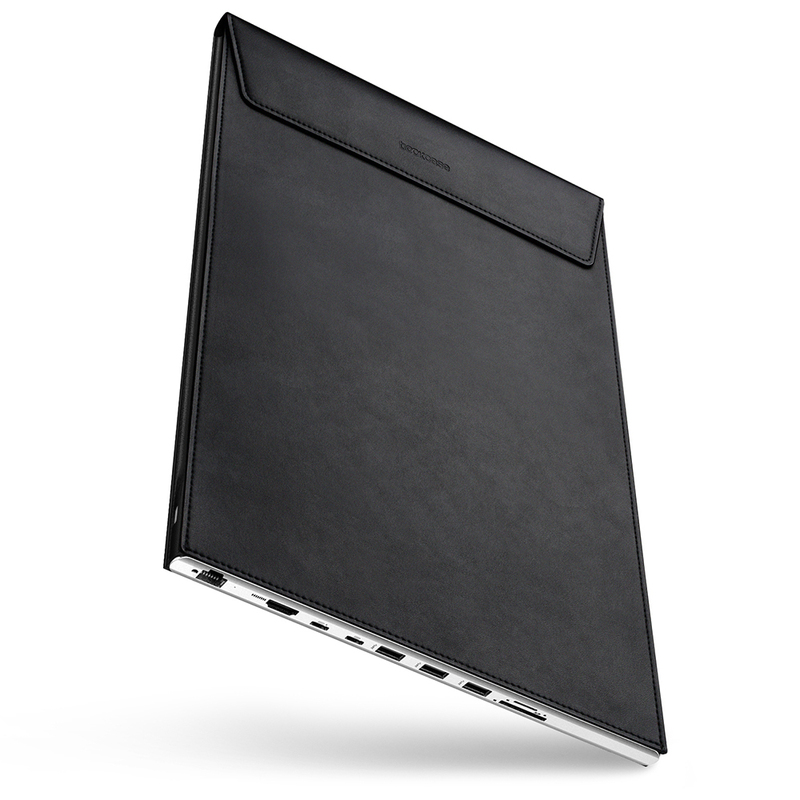 Q11.Are there any pockets on the case to hold charger/external hard drive etc? 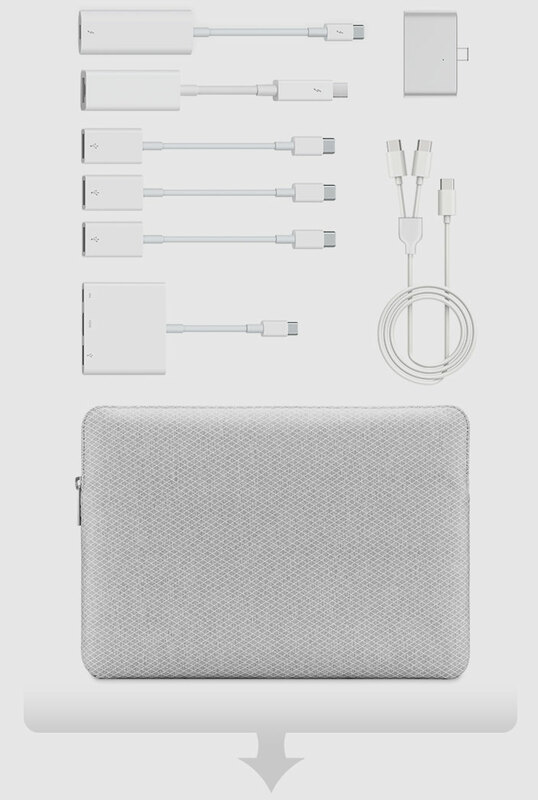 We have a sleeve flap but I don't think it can hold chargers and external hard drives. But we do have a special sleeve in the case to store our C to C cable. Q12.Can I connect it with an usb A to usb C cable? So I can connect it to an older MacBook Pro? Technically, it cannot work with older version MacBook Pro through the USB-A to USB-C cable. 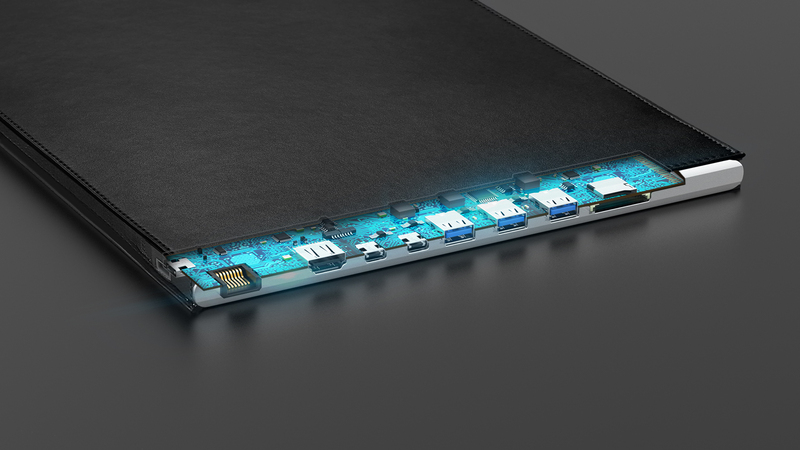 Q13.Can it work with other USB-C laptops? 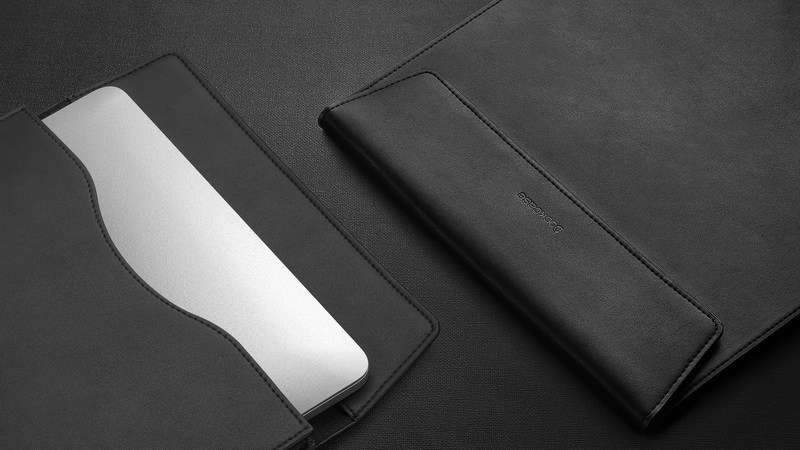 Currently DockCase is custom-made for 13' and 15' Macbook Pro of late 2016 and 2017 version, and the upgraded version for more compatible laptops is still in the developing process. Q14.Can I charge an iPhone through the dock? 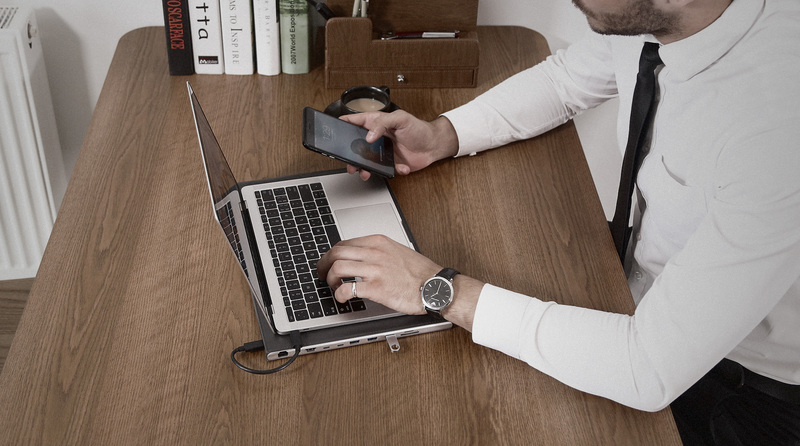 Since DockCase is designed for expansions and data transfer, we do not recommend using the port for charging mobile devices (except the PD port for charging MacBook Pro). 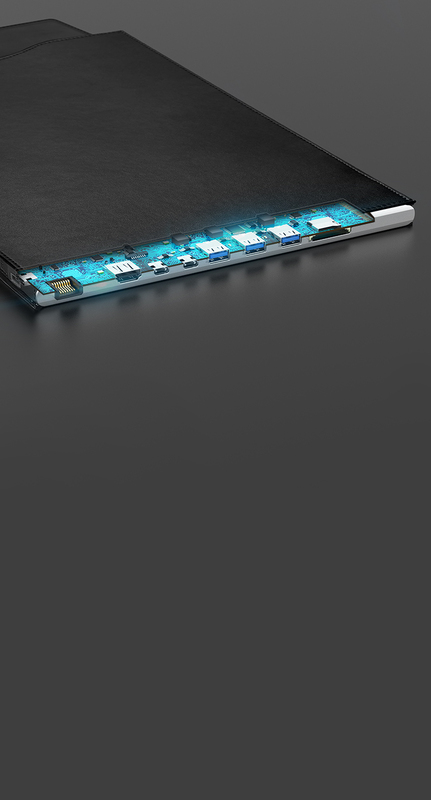 Q15.Is there any covers for the ports? Will it be easily broken? There is no cover for the ports. SInce the dock is made of premium aluminum alloy, it won't be scratched or break. 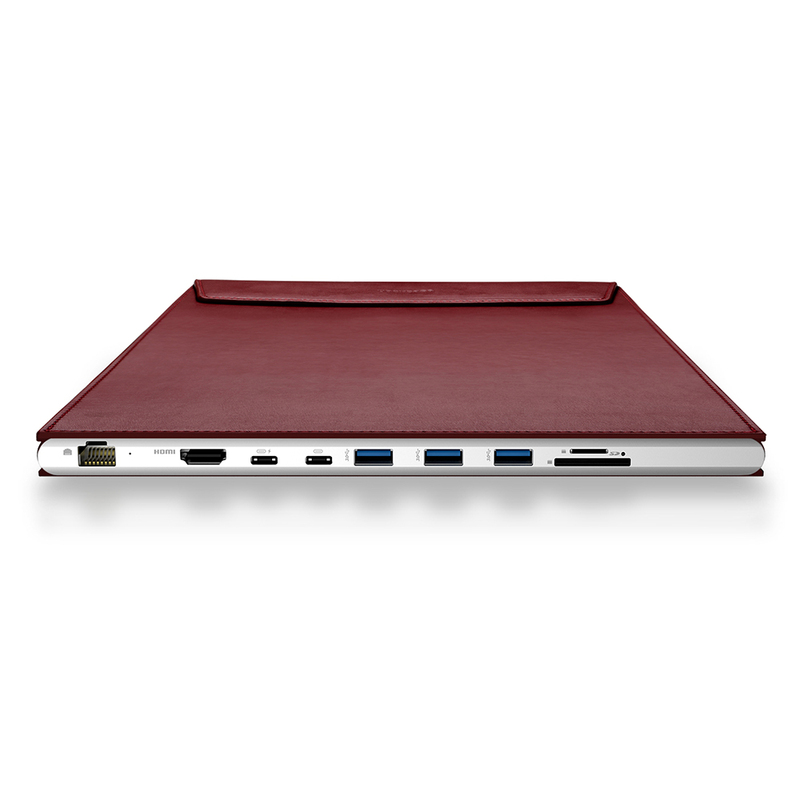 Q16.Can I put my Mac with a hard shell into DockCase? 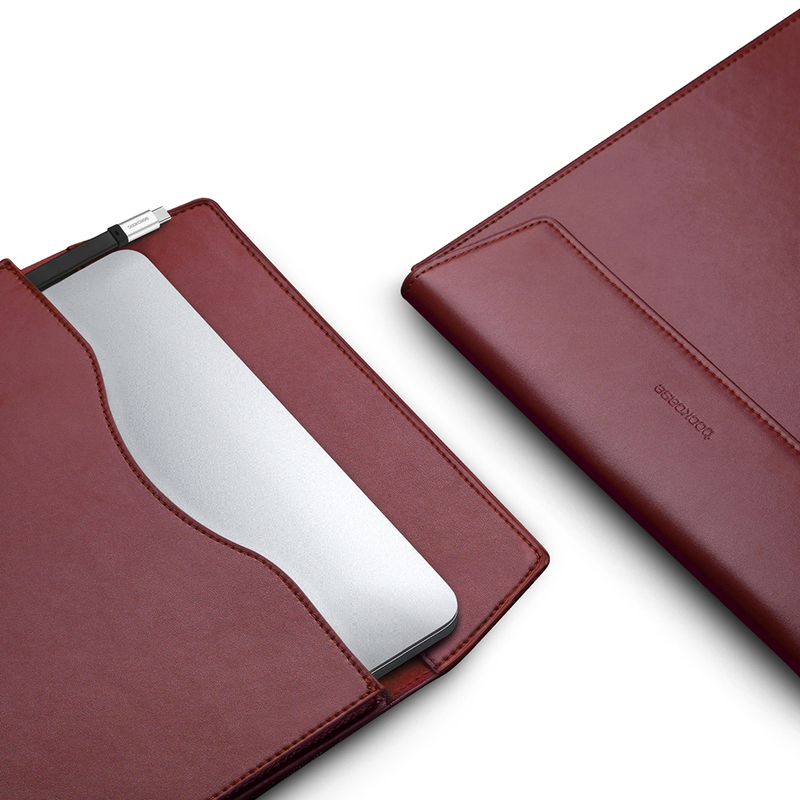 Since DockCase is specially designed for the size of Mac, so there is not enough room for the hard shell. Q17.Does the Ethernet port has a cable locker inside? There is no cable locker inside the Ethernet port. But the cable will not easily slide out of the Ethernet port because of the design. New to DockCase.com? Please create an account at first. Copyright © 2019 DockCase.com. All Rights Reserved.